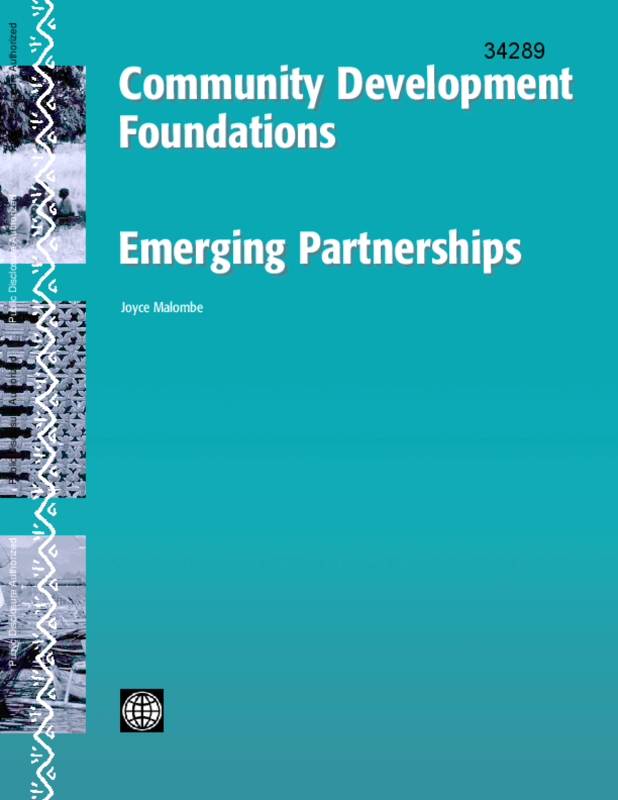 Community Development Foundations: Emerging Partnerships. This report examines the emerging picture of local institutions that exist solely to support the civil society sector by building their operational and financial capacity. The report also assesses the role of these institutions in community-based and community-led development and the possible role of partnership between donor agencies and other stakeholders working on community development and poverty reduction. Copyright © 2000 The International Bank for Reconstruction and Development/THE WORLD BANK 1818 H Street, N.W. Washington, D.C. 20433, U.S.A. All rights reserved. Title: Community Development Foundations: Emerging Partnerships.